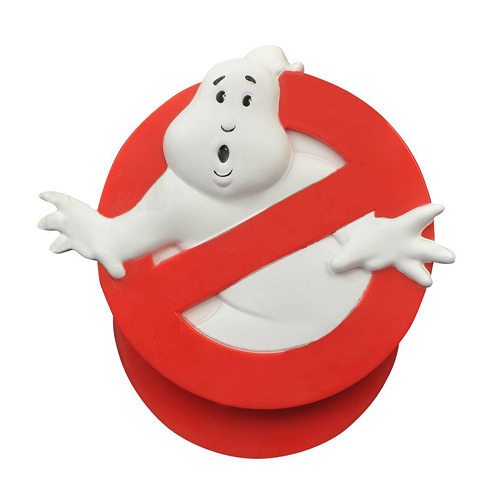 There's a pizza party at Spook Central, and the only way to make sure there's enough pizza for everybody is to slice it up with the Ghostbusters Logo Pizza Cutter! This spook-tacular kitchen utensil will divide your pie however many ways you need it, but do it quick, before Slimer eats it all! Plastic blade is removable for cleaning. Packaged in a full-color window box. Measures approximately 3 3/4-inches in diameter. Ages 13 and up.